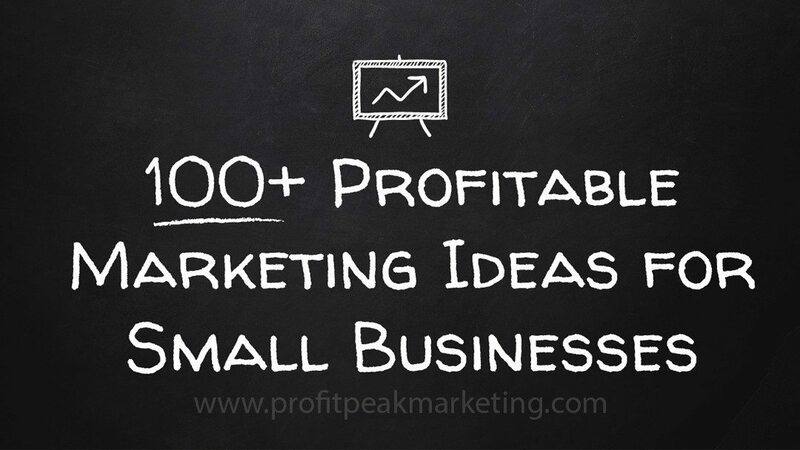 Are you looking for ideas to market your small business? Are you using a yearly marketing calendar? Are you using an editorial calendar for publishing content on a schedule? Do you ask your customers where they first heard about your business? Do you have an updated customer list? Do you stay in regular contact with your customer base by one or more marketing channels? Are you focusing on the Life Time Value of your customers? Do you know what specific problems your customers are having that you can solve? Have you found your customer’s hidden motivations? Are you using your customer’s authentic language? Do you record and tell customer stories? Are you using surveys to collect information from your target markets? Do you have a list of your Top Local Competitors? Have you reviewed your competing business’s websites? Have you ethically done Undercover Price Research? Have you reviewed similar businesses in other geographic areas? Are you focusing your marketing message on your Customer’s Transformation? Have you designed or re-designed your logo for simplicity? Do you have a tagline or slogan that communicates your Unique Benefit? Are you consistent with your brand & message across digital and print media? Are you avoiding “Madison Avenue” Branding techniques in favor or measurable direct response marketing? Have you published content that is focused on your customer’s transformation? Do you have specific content for the various stages of the Sales Cycle or Buyer’s Journey? Do you have different content for each of your major market segments? Have you been posting useful information on your blog? Have you repurposed your best content? Do you have professional photographs? Have you gathered testimonials from satisfied customers? Have you setup your business email @ your domain name? Is your website designed to be Customer Focused? Are you collecting email addresses with permission? Do you send regular promotions to your email list? Do you send more valuable content than you do promotions to your email list? Are you following CAN-SPAM laws, such as allowing subscribers to easily unsubscribe from your email list? Do you have nice business cards? Do you have branded presentation folders? Do you have company shirts with your logo? Do you have magnets ,adhesive vinyl, window perf or other vehicle signage? Do you have any store front signage? Do you hang door hangers in the neighborhood? Have you or your sales people walked and talked with local people? Have you “activated” your past customers by sending them offers in the mail? Have you used Every Door Direct Mail? Do you send out great offers to your mailing lists? Have you sent out repeat mailings for a better response rate? Are you tracking your response rates to see which mailings are profitable? Do you deliver a remarkable customer experience? Are you asking for testimonials? Are you talking about “what you do” the right way? Do you have referral partners in related industries? Do you attend an active networking group? Are you using social media networks that are most used by your target market? Have you created a profile on each major social network? Are you sharing great content your customers love on each social network? Are you getting good reviews? Do you respond to negative and positive reviews? Do you respond to negative reviews correctly? Have you researched the search terms that are most important for your business? Are you doing both “on-site” and “off-site” search engine optimization? Are you publishing quality content both on and off your website? Are you focusing on the most important search engines? Does your website have original content that other related websites would link to or promote? Are you target all three areas of the search results page – paid, local, and organic? Are you using your Business Name, Address, and Phone Number (NAP) consistently? Have you ran ads in local newspapers and tracked the results for profitability? Have you ran ads in local magazines and tracked the results for profitability? Have you ran ads on local radio stations and tracked the results for profitability? Have you ran ads on local television stations and tracked the results for profitability? Have you ran ads in the phone book and tracked the results for profitability? Do you do local media interviews or other public media appearances? Do you host local events? Do you sponsor local events? Do you give to local causes or charities? Do you attend trade shows or industry events? Do you follow up with leads? Do you have referral relationships with businesses serving similar customers? Are you sharing direct mail or other advertising costs? Do you cross promote your email and mailing lists? Do you promote marketing material at each other’s business locations? Do you use promotional codes or other methods for recording how many responses to a specific marketing campaign? Do you have Google Analytics or other site tracking software installed to track your website traffic? Do you always put a call to action on your advertising? Do you have a call to action on most of your web pages? Do you tell people exactly what to do next? Are you split testing your traditional advertising such as direct mail? Are you using split testing on your landing pages? Are you split testing Calls To Action, headlines, and other important page elements? Are you using email marketing software such as Active Campaign? Are you automating your social media posts with Buffer or Hootsuite? Have you created one or more Lead Magnets? Have you created a unique Landing Page for each or your lead magnets? Do you have a funnel and email followup sequence to nurture leads after they access your lead magnet?